In modern western society, we live in a culture where a great deal of emphasis is placed on how we look as opposed to what our bodies actually enable us to do and experience. This creates a sense of our bodies as objects and creates a sense of disconnection between our bodies and our experiencing of our selves. In the past, our bodies were experienced and appreciated more as means of production, ensuring we remained connected to, and within them. Before the advent of modern technology we used our bodies more; housework was heavier than it is now, people were more actively involved in the growth and production of their own food. The machines we use today create a distance between those things and our bodies, and we no longer experience the satisfaction of using our bodies for hard labour. And it seems that the less, as a society, we have the need to use our bodies for production or constructive reasons, the more the emphasis has shifted on to how our bodies look. Turning the body into an object to be sculpted, to be dieted or exercised into an ideal dictated to us by the media and peer pressure, disconnects us from our selves. Our bodies are part of our selves. Our bodies are how we present our selves to the world. Our bodies are from where we relate to other people. Our bodies are also what enable us to experience our thoughts, feelings and experiences through our five senses. And yet, by viewing them as objects which need to be changed to fit society’s ideals and expectations, it’s easy to lose sight of, or to lose touch with, the true value and meaning of our bodies; as experiential containers of our selves. In modern Britain, it’s almost an accepted norm that women especially, but increasingly men too, will be weight and body conscious, or on some kind of restricting diet in order to mould themselves into an ‘ideal’ shape constructed by the media and society. It seems that many people are more concerned with what society and our culture tell us about how we should look than with listening to their own Selves, to their own bodies. And this is where disordered eating can begin to creep in as people lose touch with their body’s own hunger signals in their attempts to mould their body to fit these ideals. Our bodies, if we learn how to listen clearly to them will tell us what we need to eat. Our bodies, if we listen to them and satisfy their physiological hunger will settle at a weight that’s right for them; very difficult to achieve though in a culture which prizes thinness, and often thinness to a point below the natural weight of many women. Our modern Western world is still based on a patriarchal system where the masculine is prized over the feminine. The masculine principles of individuality, rational thought, autonomy and independence are prized above the feminine principles of intuition, feelings and emotion. A spiritual theory of eating disorders views eating disorders as a ‘Spiritual Hunger’, as a woman’s disconnection from her Self, her Inner Goddess and her inner feminine as a result of trying to fit into this Western world. People with eating disorders tend to have highly developed masculine principles to the detriment of their feminine and spiritual side which shows itself both in their character traits and their determination to eliminate their physical feminine body. The accepted female shape, or what is considered ‘attractive’ has changed considerably over time. In past centuries, and even today in other cultures, female bodies are valued and worshipped for the amazing vessels which they are; bodies which nourish and create life. The idea of woman as a goddess, prevalent in ancient times, has been lost in our society, and today instead, we’re fed images of often painfully, or unrealistically, thin models to aspire to. A healthy woman’s body is meant to contain a percentage of fat (between 21% & 36%, compared to 10% & 25% for men), it’s meant to be curvy to house her internal organs and prepare her for nurturing children. 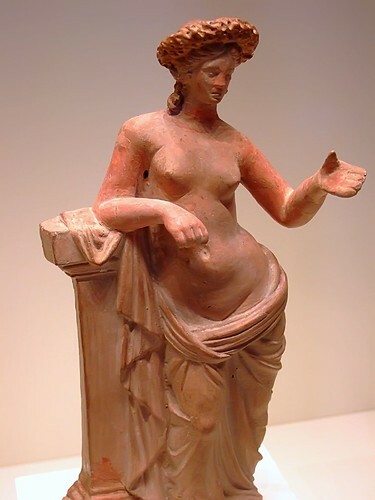 A female curvy body with rounded stomach, thighs and hips were once valued and worshipped. Yet today, women strive to eliminate all such curves; and by doing so disconnect themselves from their full experiencing of them-Selves and their experience of living as a woman in a woman’s body. A very good post with some excellent points. If we see the body as a tool, can one of the functions of that tool not be as a kind of hobby – that by control we can use it in the same kind of way we would knitting needles or paint – as an expression of how we see the world?